So it’s that time again, back to work after a fabulous couple of weeks visiting friends and family and generally over indulging in mince pies and old movies. Before I get stuck in to 2019, I really must pay my respects to 2018; professionally it was a fantastic year for me so I’ve made a list of some of the highlights. Thanks to all the superb creative folk I’ve worked with and as always to the audiences who tune in to their TV’s and turn up at the Cinema. In January, I won the pitch to create a brand new score for Casualty - a huge undertaking of 47 episodes no less! Now in its 33rd season, the BBC One show is the longest-running emergency medical drama in the world and this latest series kicked off with nail-biting scenes as several main characters battled for their lives following an explosive cliff-hanger. I have absolutely loved working on this show and with Series Producer Lucy Raffety and the great team of Producers and Directors. I’m about half way through this series and officially hooked! I also worked on a couple of shorts this year, Bully for my long-time collaborator, Director Jake Graf and Absolution for Director Calan Smith. There was also brilliant news for Some Sweet Oblivious Antidote, a short film starring Lenny Henry and Wunmi Mosaku. I wrote the music for the project in 2017 and Director Christiana Ebohon-Green collected the award for Best in Fest at the prestigious Triforce Film Festival in November 2018 - an excellent result. 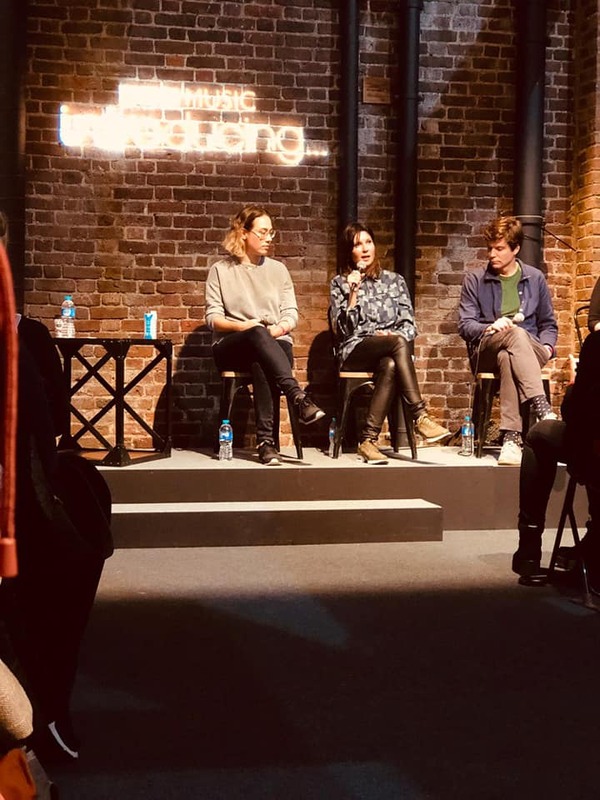 I was honoured to appear on the panel on composing for Film and TV for BBC Introducing Live along with fellow composers Carly Paradis and Harry Escott, Composers’ Manager for Manners McDade, Ruby Wasmith and Head of Creative, Television for my Publisher Music Sales Creative, Louisa Rainbird. It was a wonderful event and so great to take questions and chat to budding new composers and artists. I was asked to contribute to two articles for the PRS M-Magazine. Read all about it! I got to work with Director Campbell X, Writer/Producer Jacquie Lawrence and Producer Fizz Milton AKA Team DFG again on more episodes of this fabulous web series about a group of lesbian and bisexual women whose lives and loves revolve around children, marriage, betrayal and divorce. Here’s one of my favourite cues from the show. I wrote and recorded my first full library album for Bosworth Music. The album was borne out of my personal passion for all things Science Fiction and features essential soundscapes for Science, Space, Drama and anything spooky and creepy. Expansive beds, drones, haunting piano and voices, pulsing anticipation and dark discovery. Two tracks also feature vocals from the superb diva Katherine Ellis.